There are so many sites in the online realm players are hard�pressed to sign up with one that's truly trustworthy when it comes to payouts, customer service, and even honoring your bets. There have been stories around the net of people winning thousands of dollars but having to wait thousands of days to actually have cash in hand. Players who win huge parlays only to be dumbfounded when their wager is a loss because of some new, cooked�up rule. And anyone who has tried multiple sportsbooks has dealt with less�than�stellar customer service. I like Bodog just fine because they provide fast enough payouts for me, and if you only request one payout per month they are free. While I'm not a big fish, I will bet $500 on Props during football season, and will bet maybe $100 or so per game if I like the lines (average of maybe 2 games every Sunday). For some reason my limits were lowered during basketball season, but it's not a big deal, since I do this more for fun, and not at all for a living. For baseball games I've dabbled around a bit and I'm happy enough with them that I've redeposited for the football season. 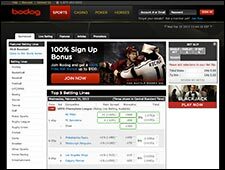 Bodog has great information and is very helpful in making a wager on sports for you. I don't know what that guy is talking about it taking a day to cash a check. I use e-check everytime and am credited immediately. Maybe his checks are no good, lol. I've been w/bodog for years now and no longer use any other books or poker rooms. don't care for the graphics in their poker room but they have been very prompt, very trustworthy and I always get customer service immediately when I call. I am very disappointed in bodog.com. After reading their reviews on other sites, which now appear to be sites used to spam google rankings, I thought I had found MY sportsbook. But after the lengthy signup procedure, throw in some complicated terms of service agreement, I thought I would be finally allowed to place a wager. They would have non of that. Because of the slow customer support and transaction processing I wasn't able to deposit my check in time to bet on my yearly superbowl wager (cashing the check took a day, even though they promise seconds). After I placed a wager on another game (had the money in the account anyways) I won. Great you might think. Well fast payouts is not one of their strong points either. After a lot of pushing i had my check in the mail after 4 (!) weeks. Least to say I will not be going back there! 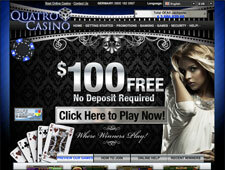 Sites easy to navigate and fast even at game time and payouts are same day. Lots of product and friendly customer service. Read where they started this business with a stolen list from another sportsbook. Not the kind of place you should send your money unless of course you want to kiss it goodbye. Write a Bodog Sportsbook Review and share your thoughts with other players.